Submitted by Migrate Wizard on 2015-04-25 14:04. 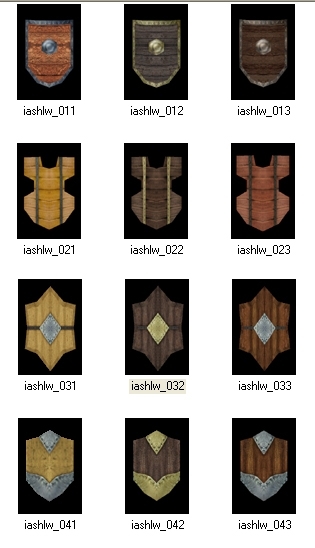 Reskins for all small shields and all large shields from Neverwinter's original release are included in this set, plus the 1st set of 3 tower shields. 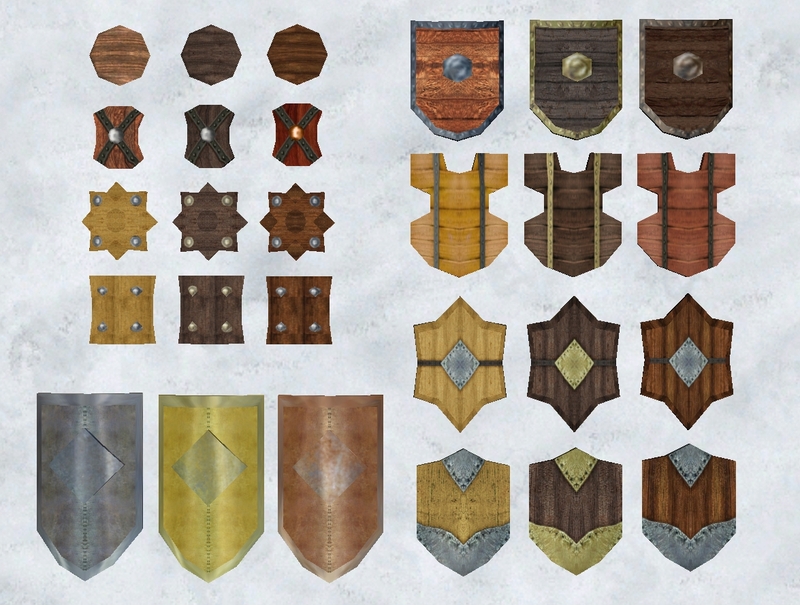 Added missing .dds textures for icons. Hak name is unchanged from previous release. Textures were mostly taken from NWN, but much thanks to CODI for a metal texture from the Sigil set Link which I used as a base for nearly all the metal textures used. Use: Simply extract files from the override version into your override folder, or use the hak version. Feel free to add to your own hak or use as you please, but credit would be appreciated. Hope you like them & Long Live NWN!